Users have reportedly discovered that iCloud stops working on laptops updated to the latest version of Windows (1809). This prevents syncing or uploading to the service. New installs of iCloud may also fail due to a lack of compatibility. Microsoft has announced a collaboration with Apple to fix the problem. iCloud, Apple's cloud storage and computing service, may not be compatible with the latest general-release update for Windows. 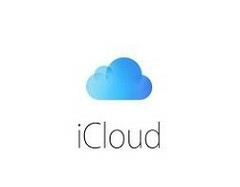 Users who try to open it on machines running this build (1809) have reportedly found themselves incapable of syncing their iClouds or using them to update Shared Albums. Uninstalling and re-installing the software won't help either, as such attempts result in an error message saying that iCloud is incompatible with their OS. Nevertheless, people still need access to their files saved with this service. Microsoft has recently announced that it will be working with Apple to resolve this problem. In the meantime, the Redmond-based giant is addressing the issue by blocking users with a working iCloud install on their devices from downloading 1809. The incompatibility between Windows and iCloud is thought to affect consumer-level builds, as well as the October update for servers and Windows Server 2019.